If you are looking for a new business credit card you will quickly discover that there are a lot of choices out there available to you and the whole process can become a little confusing. Choosing the best business credit cards for your business’ unique needs is something that should be given some serious thought though as the credit card you chose can impact your business more significantly than you might imagine. What constitutes the best business credit card will be different from business to business. 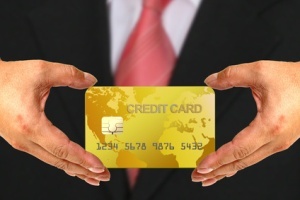 A business that will occasionally need to carry a balance on their credit card from month to month should probably be most concerned with finding a business credit card that offers a lower APR, while those who intend to pay off balances every month, for whom APR is not such an issue may be more interested in rewards that are offered in return for their spending. If a low APR is the most important thing you are looking for in a business credit card you do have to make sure you read and understand all the finer print. Many business credit cards come with a very enticing 0% APR introductory rate but it is the rate that you will be charged after that is what you should be more concerned about. One of the lowest APR credit cards available to businesses right now is the Chase Ink cash Business Card. There is no teaser 0% interest rate simply a low from day one APR of 13.24-19.24% depending upon individual creditworthiness. In addition there are cash back rewards attached to this card that are quite significant as well. In addition to being able to earn 1% cash back on all purchases made on the card you can earn 3% cash back on purchases made at restaurants, gas stations and on office supplies. There is also an automatic $150 cash back bonus awarded as soon as the first purchase is made on the card. The Capital One Business Platinum card is another business credit card that offers a low APR that is well worth considering. This card does come with a 0% APR introductory offer that remains in effect for 12 months and applies to purchases made on the card. Once the 0% APR term expires interest is charged at 19.99%. This is a very basic credit card – no rewards programs, no points – but it can be obtained by those with less than stellar credit, making it a good choice for entrepreneurs and brand new businesses. If you intend to pay off credit cards balances every month then it makes sense that you be rewarded for your good habits and cash back credit cards do just that. And with that in mind why not look for a business credit card that offers as much cash back as possible? One very good cash back business credit card is the Capital One Business Platinum with No Hassle Cash. Rewards are earned at the rate of 1% cash back on all purchases made on the card but there is never a limit placed on the amount of cash back that can be earned nor do the points ever expire. Cash back rewards can be directly deposited into the company bank account at intervals you set or in the form of a check. There is also a 0% APR introductory offer that remains in effect for 12 months and reasonable APR of 14.9-22.9% there after. Another very good cash back business credit card offering is the Simply Cash American Express Open Card. This card offers 1% cash back on all purchases, 3% cash back on gas purchases and 5% cash back on restaurant bills and office supply purchases. There is no limit to the amount of cash back that can be earned and cash back rewards are credited to the card every month, automatically. The card also offers savings on cell phone service, Fed Ex, Hertz car rentals and at OfficeMax stores. In order to secure this card though you will need a very good to excellent credit so very new businesses may have to wait a while before they will eligible to be approved for it. If you would rather be able to earn rewards rather than just cash back – or have the option to do both – there are a number of good business credit card offerings out there to help you do just that. When you are comparing these kinds of cards make sure you understand the rewards program fully though. Some cards cap the amount you can earn rewards on and others set expiration dates on reward redemptions and while such things do not necessarily mean that such cards should be ruled out you will want to make sure that you get all the rewards that you are due in time. The Bank of America Worldpoints Reward Card was named “Best Credit Card for Small Businesses’ in 2011 by Cardhub and for good reason. In addition to a low APR of 11.24% this business credit card offers 1 point for every dollar spent on all purchases and 2 points per dollar on gas, restaurant and travel expenses. Points never expire, there is no limit on how many you can earn and rewards can be redeemed on a very wide selection offerings.